Registration is not required to gain access to the Site. However, there are sections of the web site which do require a password. When you visit our Site, some information such as your Internet protocol address, Internet service provider, operating system, the Site from which you arrived, and the time and date of your visit may be collected automatically as part of the software operation of this Site. This intake of information is not personally identifiable. Bend Tech Support, LLC uses this information solely for internal marketing purposes, for example, to see what pages are most frequently visited in order to improve the Site. After it is used for internal marketing purposes, this information is discarded. We may also collect information through the use of a technology called “cookies.” A cookie is a small file that a web site can send to your browser, which is then stored on your system by your browser. The use of cookie technology on Bend Tech Support, LLC.com is solely for internal marketing purposes. If you are uncomfortable accepting cookies from our Site or any other, you can set your browser to notify you when a Site attempts to send you a cookie, giving you the opportunity to decide for yourself whether or not to accept the cookie. You can also set your browser to turn off cookies. Any time Bend Tech Support, LLC collects information that you voluntarily submit, it is Bend Tech Support, LLC’s intent to inform you of why this information is being requested and how it is going to be used. We may collect personal information from you including phone, electronic mail address, and other information you choose to provide at various times, for example, when you complete an online form or request. Bend Tech Support, LLC uses the personal information we collect online to process your requests, inform you of opportunities that we believe you might find interesting, and to understand your needs so that we can provide you with the highest quality of service. Bend Tech Support, LLC intends to protect and secure the personal information that you submit to this Site. Bend Tech Support, LLC will not sell, distribute, or give your personal information to any third party without your knowledge and consent. Bend Tech Support, LLC shall not be liable for any personal information that you submit to external vendors or to any web site linked to this Site. The Site may provide a capability for users to submit their resumes to Bend Tech Support, LLC via email. Any resume so received by Bend Tech Support, LLC will be held in confidence and used only for the purpose of considering the submitting party for employment. Such information is not shared with third parties external to Bend Tech Support, LLC domestic and international branches. Please see Career Source’s Privacy Statement. 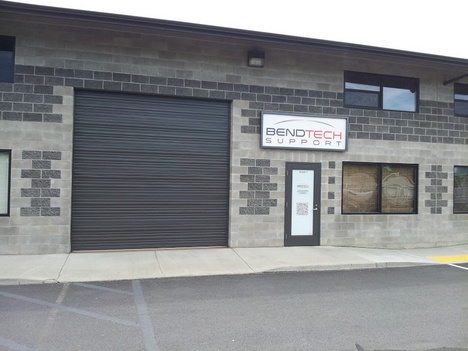 It is Bend Tech Support, LLC’s intent to guard any personal information that you submit to us, and Bend Tech Support, LLC will continue to take steps to maintain the security of this Site. However, the data we collect from you may be internationally distributed throughout Bend Tech Support, LLC and the open nature of the Internet is such that data may flow over networks without security measures and may be accessed and used by people other than those for whom the data is intended. Therefore, in submitting personal information to the Site, you assume the risk of a third party obtaining that information. Dave has helped me with three computers and I have been very happy with his services. He was clear about the timeline, communicated any changes before executing and his prices are fair. He is also super nice. I highly recommend his business and will use again in the future. Dave has been helping me with my computer issues for years and years. He is the best, always. I'm pretty old and not very computer literate and he keeps pulling me out of my jambs. Wouldn't use anyone else. Dave has been so helpful for my business. He treats his customers with extra support. I have used his tech support for over 6 years and find his his services invaluable.He is a good person, an honest worker and trustworthy. Sometimes he is very busy and can't get to everything all at once, but he does get everything taken care of in a timely manner. He is busy because he is good at what he does.Dave goes above and beyond tech support. He has even assisted me with my television and phone as they are now all computer run.I highly recommend his services. Dave gives the friendliest, most honest customer service I've ever had the pleasure of experiencing when it comes to computer repair and tech issues. Not only is he super knowledgeable, but he explains things so that even a child can understand. Can't recommend him enough!